Take out-of-the-box-routing and make it scale. 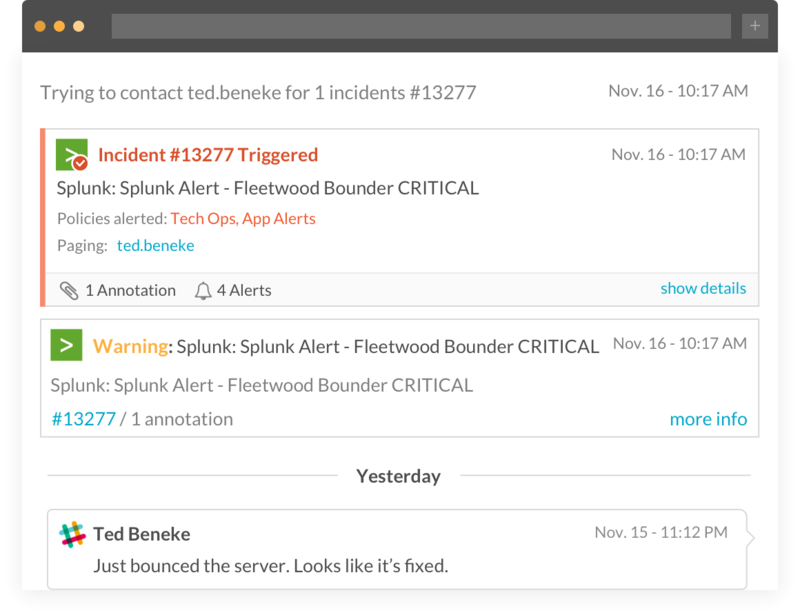 Using our powerful Incident Automation (a.k.a. The Transmogrifier), each team can precisely configure alerts to cut out unnecessary noise, speed time to resolution, and reduce alert fatigue. 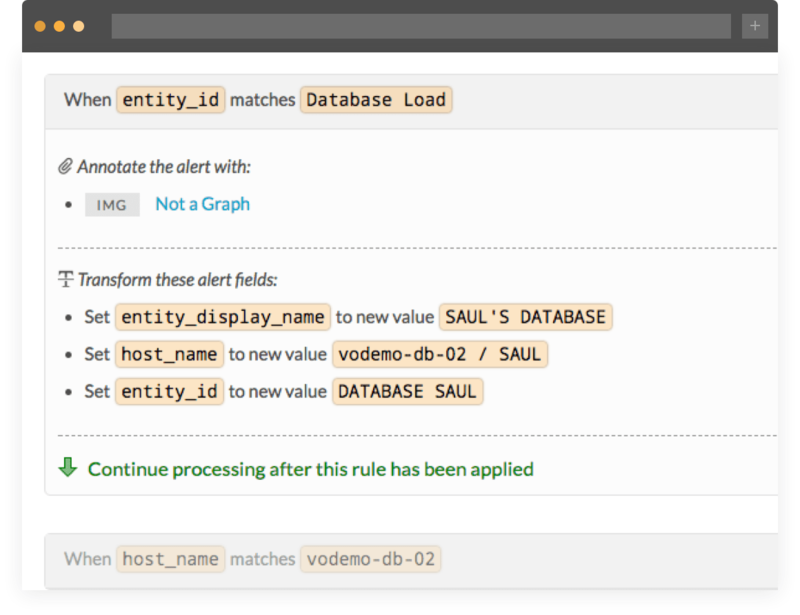 Use this powerful, logic-based rules engine to transform your alerts from a noisy data firehose to actionable insights for speeding time to incident resolution. Match behavior to fields in alert payloads and create cascading logic to meet your most demanding automation needs. Only wake responders in real emergencies. Using suppression and classification (either critical, warning, or info), unactionable alerts will be visible in Timeline and Reporting but won’t disturb users. 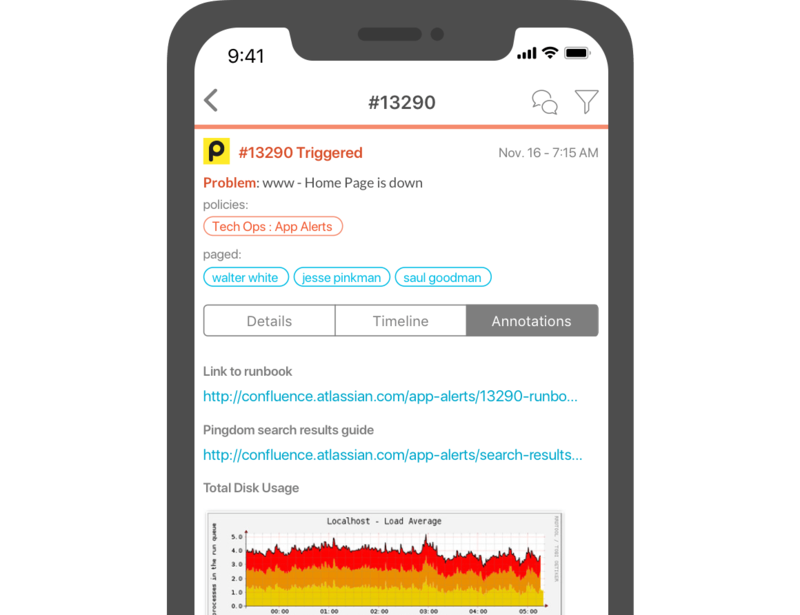 Alert aggregation further reduces noise by bucketing related alerts into a single incident, adding even more intelligence to your input stream. Link alerts to relevant and helpful instructions, images, graphics, data, notes, or wiki-based runbooks to help responders have everything they need to quickly investigate and resolve the incident. 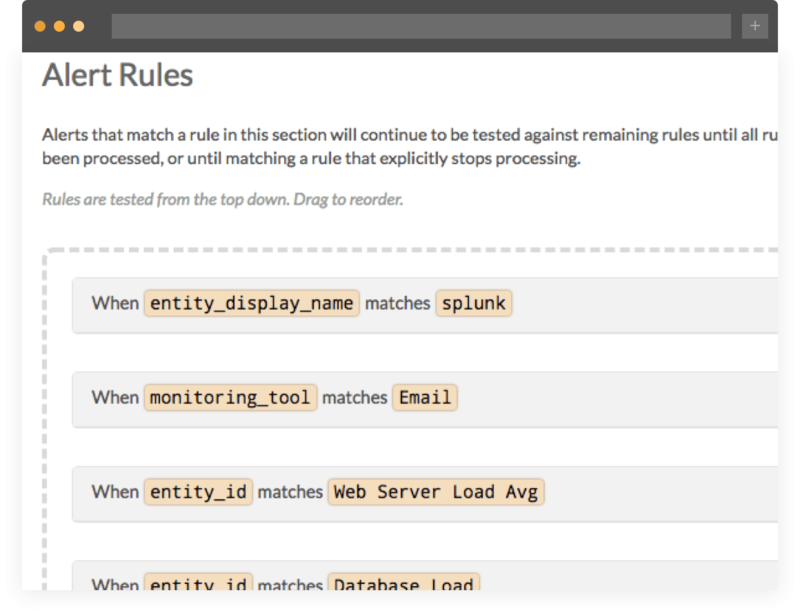 Set up unique escalation policies to fit your needs and fine-tune alert behavior. Kick off escalations based on rules you choose, and escalate to a secondary policy within your team, different team, or individuals. 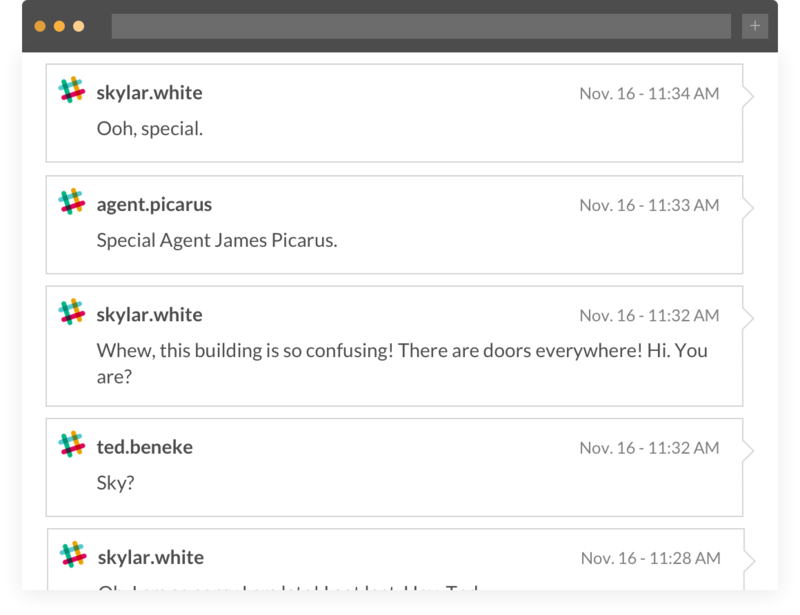 Our platform integrates with leading chat clients, empowering your team to work where they want. Bi-directional integrations with Slack and HipChat support existing workflows to speed remediation, while capturing critical data associated with the firefight for Post-Incident Reviews. Take ChatOps a step further, integrating your favorite bot, automating both common actions and remediation steps.